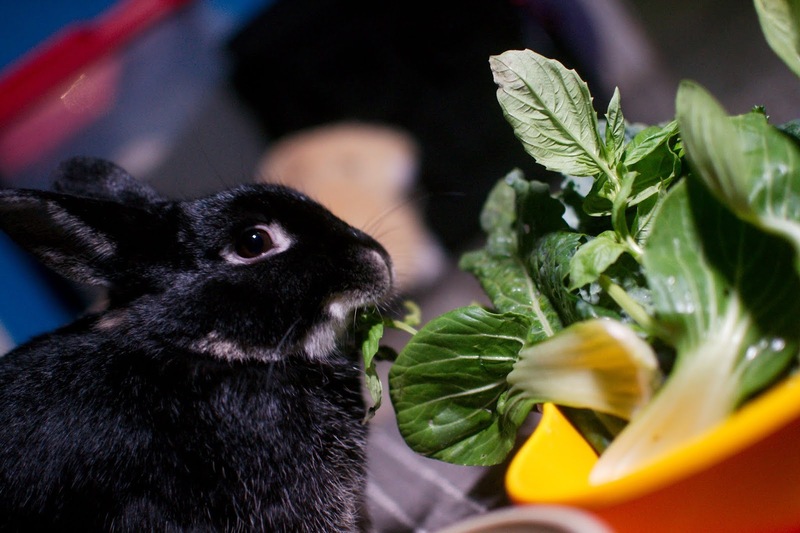 Believe it or not, the hoomin finally made some posts for us on BunSpace. He finished going through all the missed questions from his test prep book, and it looks like the rest of the day is ours. So I didn't have a lot to do today. 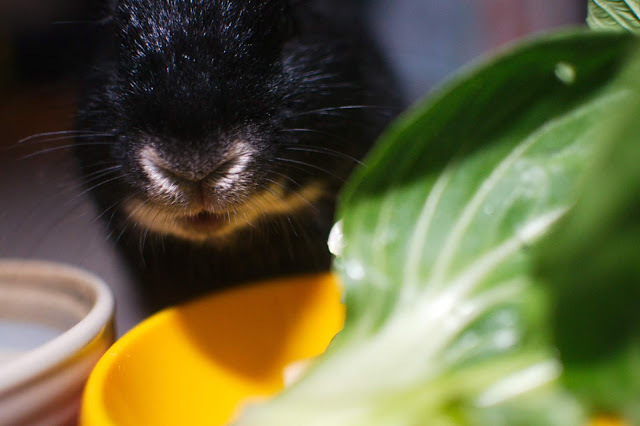 Sometimes the hoomin cooperates ;-) Well; he still has to make veg run for the week. Such salad! The bun seems almost ready to approve.